Soon, it could take just one blood test to determine if someone can lose weight by exercising. Martin Sénéchal, an assistant kinesiology professor at UNB, is studying the secretion of a hormone during exercise in young and old people who carry extra bodyweight. The hormone irisin was discovered in 2012. It’s released by muscles during exercise and gets absorbed by fat cells, turning different genes on and off and increasing energy expenditure – or calories burned. It also affects the blood sugar levels, meaning it could help diabetics manage their symptoms better. By taking a person’s blood, Dr. Sénéchal believes researchers will be able to tell if exercise will help them lose weight, or if a diabetic will be able to manage their symptoms well. 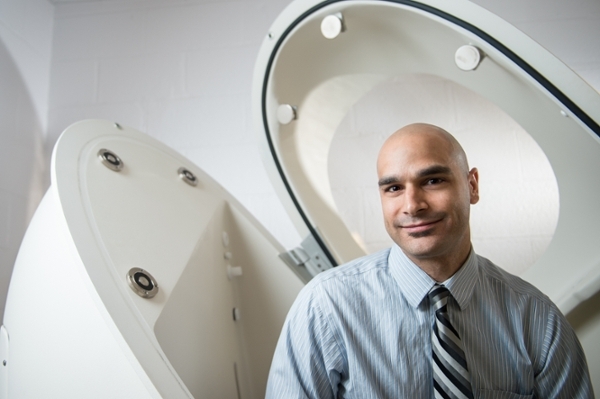 Dr. Sénéchal stresses exercise is still important, no matter if weight loss will occur. There will continue to be other benefits, such as improved glucose and hypertension management. But for some, the inability to lose weight through working out might be in their genes. The study is still in need of participants, who would have to commit to three sessions with Dr. Sénéchal over the summer. Participants should be between the ages of 19 to 35 and over 60, and carry extra bodyweight. If you’re interested in participating, contact Martin Sénéchal’s research team at (506) 458-7034 or reactionstudy2016@gmail.com.